How Do I Become a Corporate Receptionist? 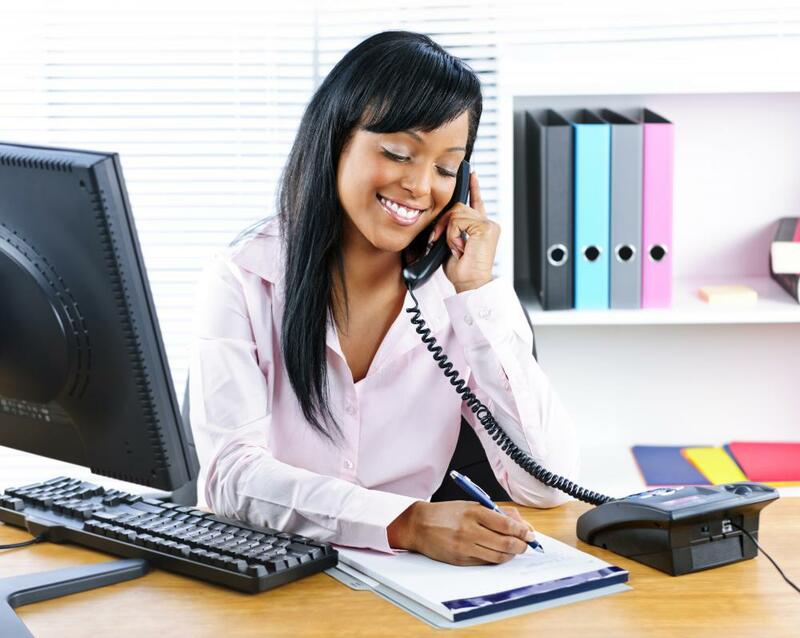 To become a corporate receptionist, you should have a job history in customer service, as a phone operator, or as an office assistant in some capacity. Though you typically do not need an associate's or a bachelor's degree, it may help you to obtain a formal education from a trade or vocational school that offers a program for administrative assistants. Whether or not the program offers a certificate, the skills that are those needed to become a corporate receptionist. Once you have the skills and experience necessary to become a corporate receptionist, you can apply for available positions at local corporations. You can generally obtain the necessary skills needed to become a corporate receptionist while on the job in an entry level position. Such a position should involve dealing with customers or clients as well as managing basic tasks in an office or professional environment. Suitable positions that can prepare you to become a corporate receptionist include bank teller, cashier, customer service phone representative, or administrative office assistant for a small company. Previous job history is important, but there are other skills that you need to become a corporate receptionist. You must have a pleasant demeanor, be able to successfully multi-task and handle numerous phone calls on an ongoing basis. The ability to make judgment calls quickly is also important. There are numerous trade and vocational schools that can teach you the skills necessary to find a position as a corporate receptionist or an administrative assistant. Depending upon the type of corporation you want to work for, you may need to familiarize yourself with the details of certain products or services or the particulars of a specific field of industry. You may also be required to answer questions over the phone or through email as they arise. As a corporate receptionist, you will be the first person to interact with clients, customers, and other businessmen on behalf of the corporation. You must remain composed under pressure, be able to delegate tasks to other administrative assistants, and to know exactly how to route calls and other inquires effectively. The position requires much more than simply answering the telephone, perhaps requiring additional tasks, such as filing, clerical work, hosting potential clients and customers, and using a suite of time management software to keep the corporate office running efficiently. What Are the Essential Skills for a Receptionist? What Are the Different Types of Office Receptionist Jobs? What Does a Corporate Receptionist Do? What Are the Different Types of PA Qualifications? How Do I Become a Corporate Registrar? What Does Front Office Staff Do? How Do I Become a Training Consultant?